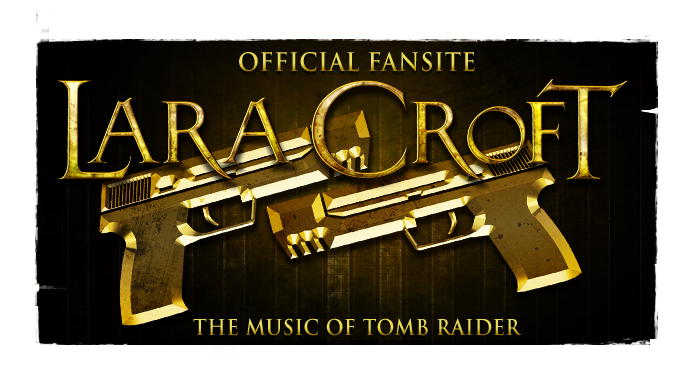 Welcome to the community developed Tomb Raider music discography - a 5-year collaborative effort between community members and Tomb Raider composers (as well as dedicated free releases by Crystal Dynamics from 2014) to bring you an unprecedented collection of the complete obtainable Tomb Raider video game soundtracks in their glorious original fidelity. Please note: Currently MoTR is permitted to stream material. Fellow fan-site Tomb Raider Chronicles kindly hosts most of MoTR's packages for download in MP3 and FLAC format ("version 2.0" & "3.0"). TRfan23 kindly hosts the TRL/A/U FLAC editions here. More material is being added via our YouTube peripheral for streaming. LAST UPDATED: 31st December 2016. The obtainable soundtrack to the iconic first entry in the Tomb Raider saga, composed by Nathan McCree. 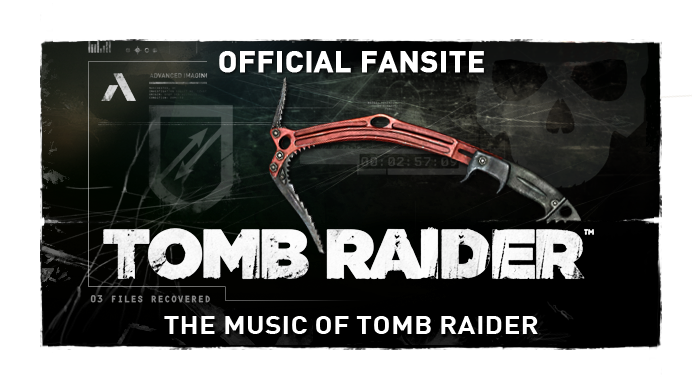 Accumulated in an authentic fashion, MoTR's classic Tomb Raider soundbanks are sourced from the original PlayStation audio in superior resolution. The symphonic soundtrack to the renowned second entry in the Tomb Raider saga, composed by Nathan McCree. 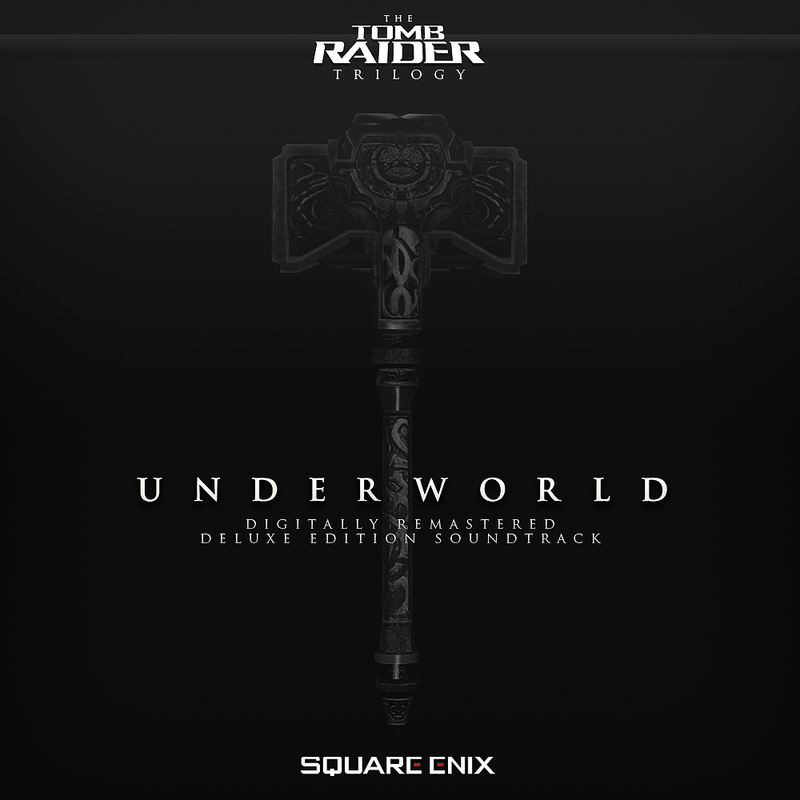 Accumulated in an authentic fashion, MoTR's classic Tomb Raider soundbanks are sourced from the original PlayStation audio in superior resolution. 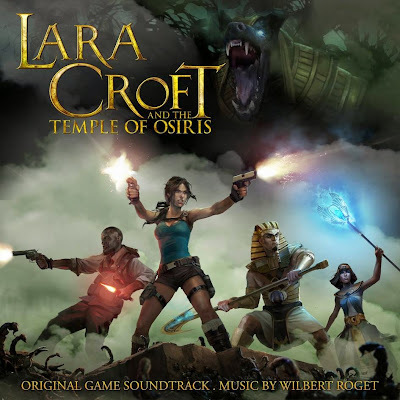 The soundtrack to the globe-trotting third entry in the Tomb Raider series, composed by Nathan McCree. Accumulated in a community-derived yet authentic fashion. 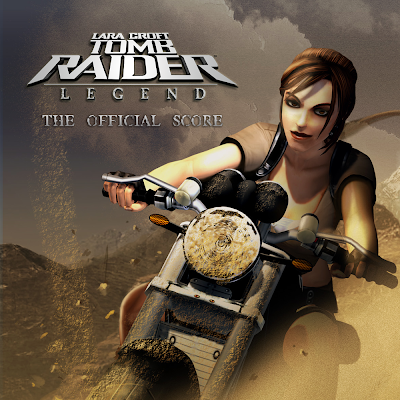 The complete soundtrack to the fourth Tomb Raider installment, composed by Peter Connelly. This compilation was shared with the community by Connelly himself through his SoundCloud in 2012, containing previously unreleased cutscene, FMV & bonus material in uncompressed quality. The complete soundtrack to the fifth Tomb Raider installment, composed by Peter Connelly. This compilation was shared with the community by Connelly himself through his SoundCloud in 2012, containing previously unreleased cutscene, FMV & bonus material in uncompressed quality. The composer also included 11 atmospheric sound effect tracks in this release, not listed here. 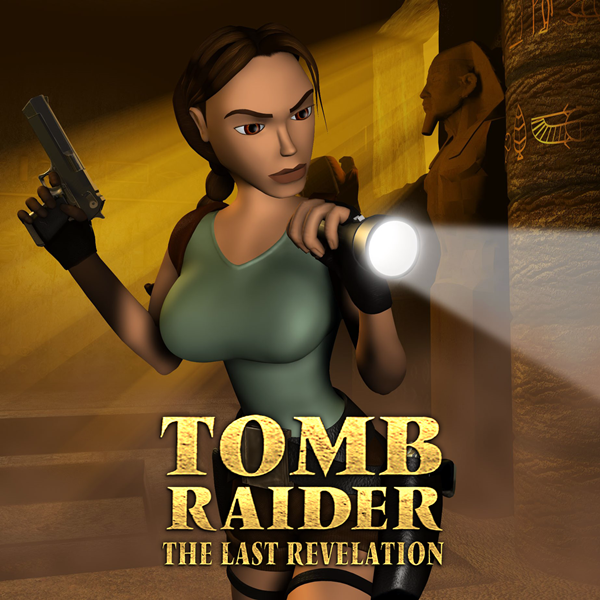 The original orchestral recordings from the sixth entry in the Tomb Raider series, composed by Peter Connelly & Martin Iveson. Performed by the London Symphony Orchestra. Recording sessions completed at Abbey Road Studios, London, 18th July 2002. Mixed the following day 19th July 2002. Released via the composer's SoundCloud in April and July of 2012, in commemoration of the 10th Anniversary of the score. Bonus track "Deleted Shaman Scene" remaster released December 31st, 2016, as part of the franchise 20th anniversary celebration. The complete obtainable in-game score from the sixth entry in the Tomb Raider series, composed by Peter Connelly & Martin Iveson. 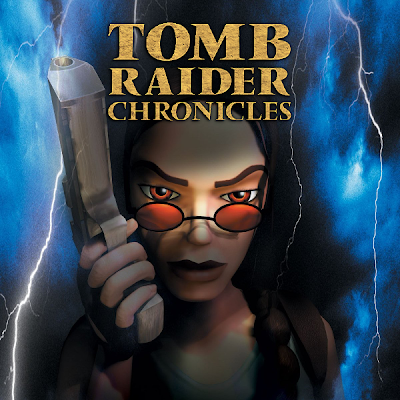 Compiled and digitally remastered by the Tomb Raider community in 2011. 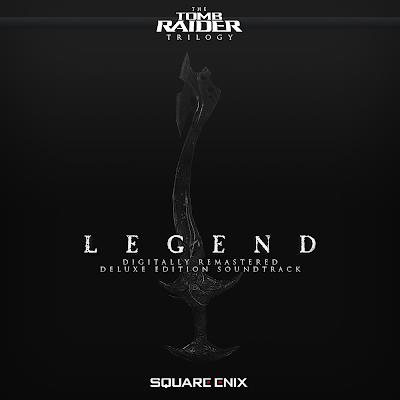 Includes the official promotional tracks released as a pre-order incentive for the Collector's Edition. 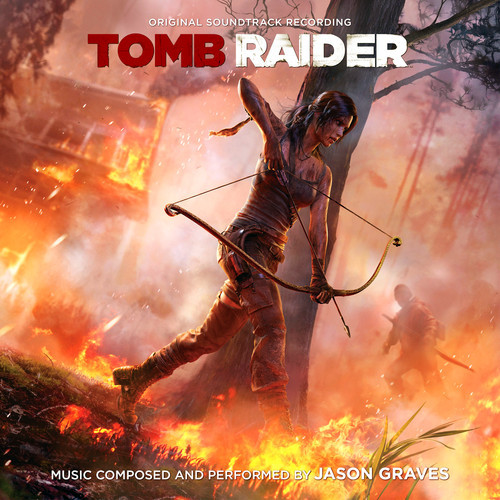 A collection of officially released tracks from the seventh entry in the Tomb Raider series, composed by BAFTA-winning Troels Brun Folmann. 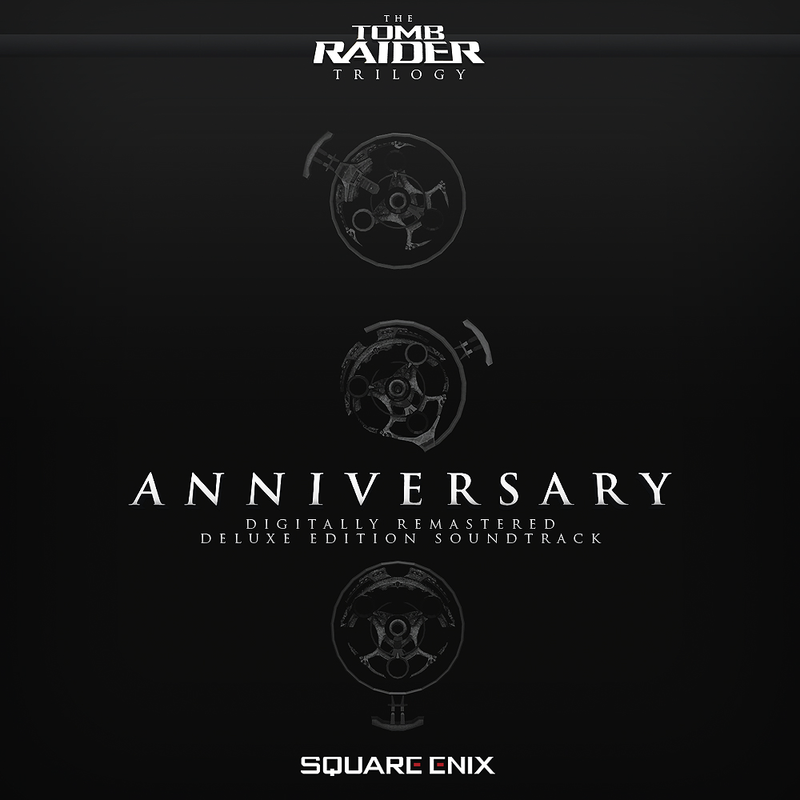 Includes the material released under enclosure in the Tomb Raider: Anniversary Collector's Edition, plus tracks distributed by Crystal Dynamics pre-release. The complete obtainable in-game score from the seventh entry in the Tomb Raider series, composed by BAFTA-winning Troels Brun Folmann. Compiled and digitally remastered by the Tomb Raider community in 2011. Does not include the officially released tracks from enclosed or promotional sources. 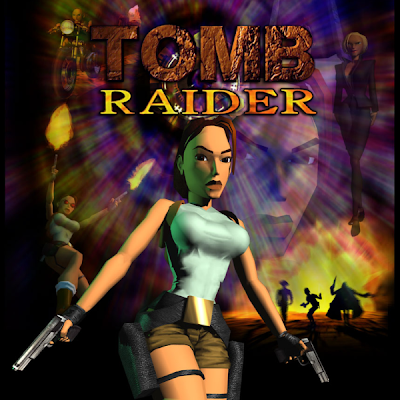 The complete obtainable score from Crystal Dynamic's remake of the original Tomb Raider, composed by Troels Folmann in homage to McCree's original Tomb Raider. Compiled and digitally remastered by the Tomb Raider community in 2011. 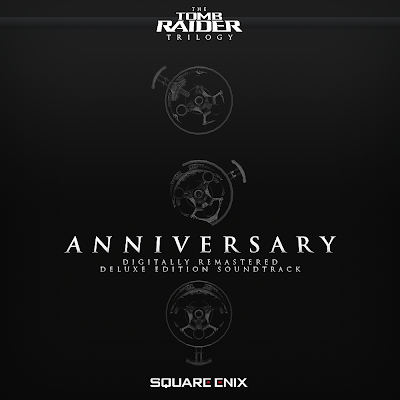 Includes both the tracks playable from the extras menu and the official tracks released under enclosure in the Collector's Edition. Featuring previously unreleased material. A collection of officially released tracks from the eighth entry in the Tomb Raider series, composed by Colin O'Malley & Troels Folmann. Main theme by Folmann. 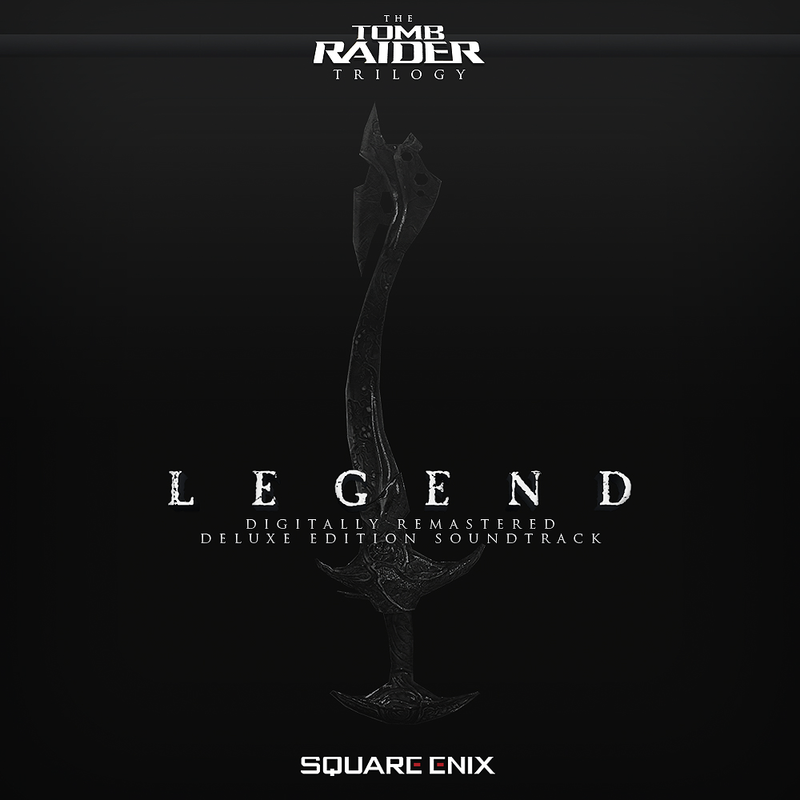 Includes the Limited Edition soundtrack released under enclosure, plus two promotional tracks distributed by Crystal Dynamics pre-release. 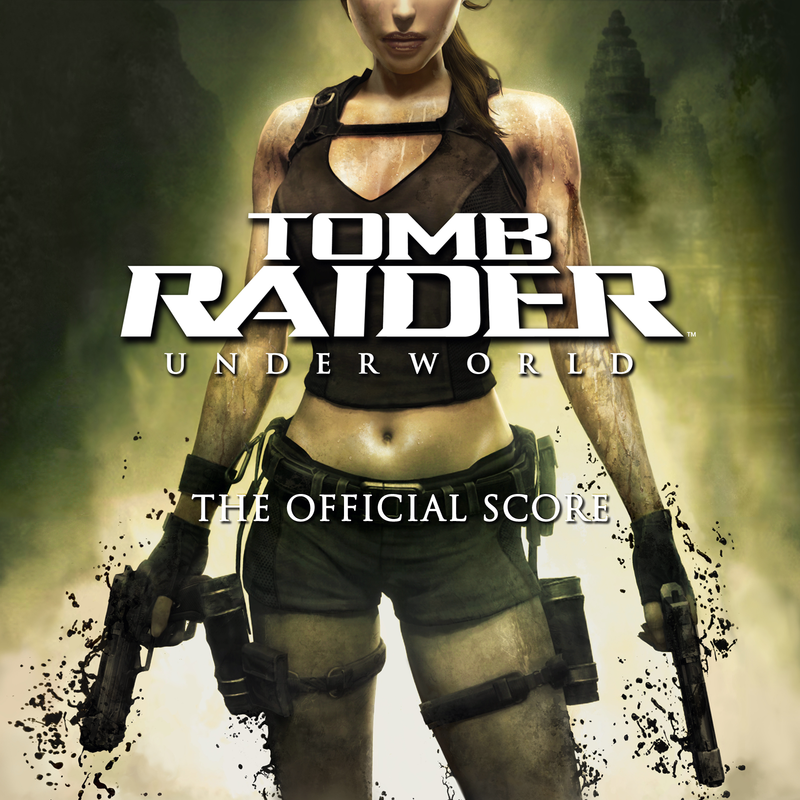 The complete obtainable in-game score from the eighth entry in the Tomb Raider series, composed by Colin O'Malley & Troels Folmann. Main theme by Folmann. 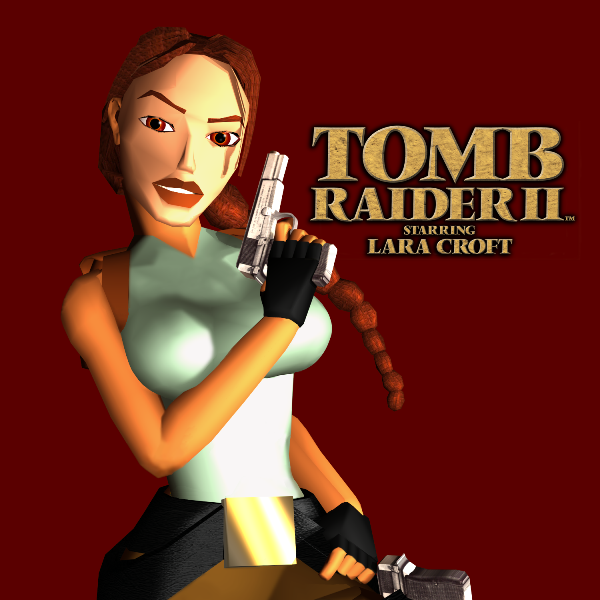 Compiled and digitally remastered by the Tomb Raider community in 2011. Featuring previously unreleased material. Does not include the officially released tracks from enclosed or promotional sources. 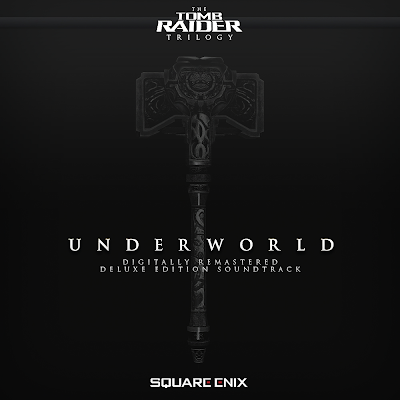 Additional music from the Xbox 360 downloadable content packs for Tomb Raider: Underworld, previously unreleased, compiled and digitally mastered by the Tomb Raider community in 2011. Music by Colin O'Malley & Troels Folmann, supplemented with new material by Mike Peaslee, Alex Wilmer & Karl Gallagher. 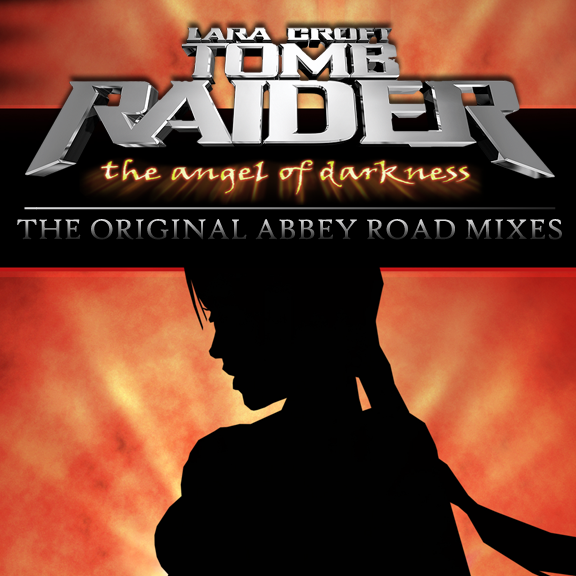 Recycled music from Crystal Dynamics' Tomb Raider Trilogy, compiled and digitally mastered by the Tomb Raider community with various album artworks. Material amended from source in 2011, some previously unreleased. Downloadable content for Guardian of Light reused additional music not featured here. Music released by Jason Graves via his official SoundCloud, Facebook & other sources between February and October 2013. 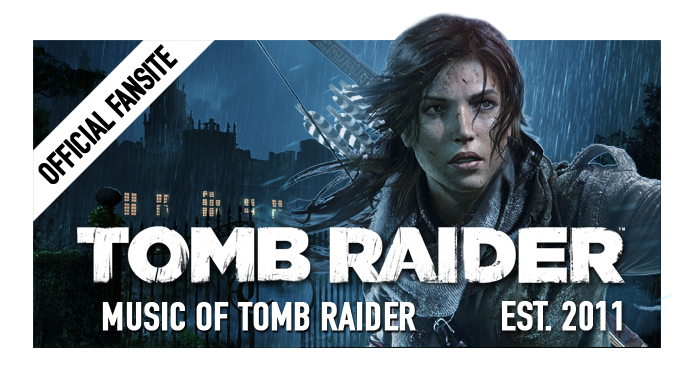 Excludes the composer's Tomb Raider: Original Soundtrack which is available to purchase at all good music retailers. 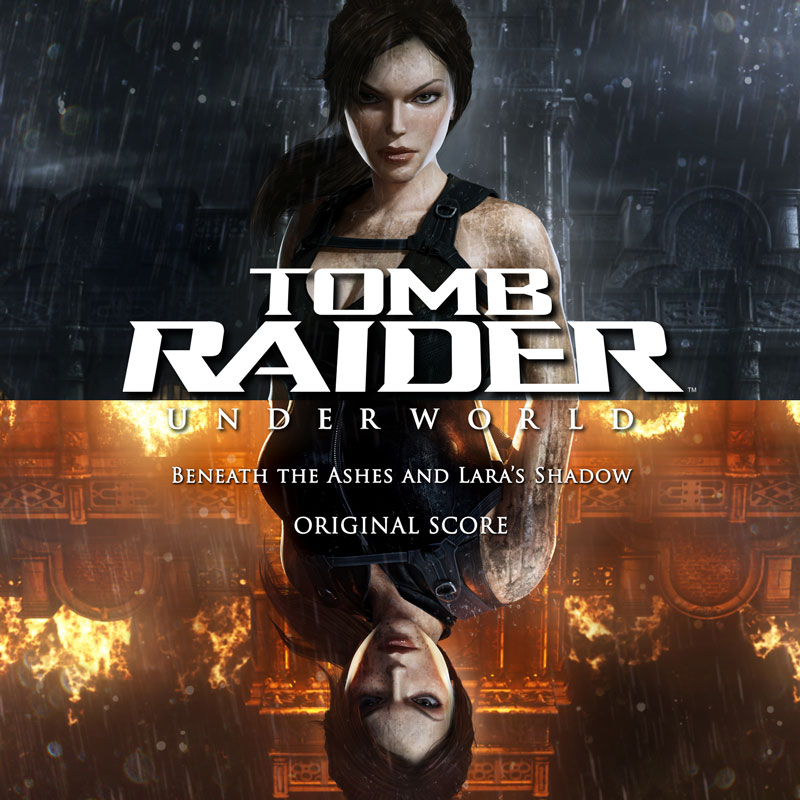 Includes previously unreleased trailer scores and Aleksandar Dimitrijevic's known work for the conceptual Tomb Raider: Ascension. 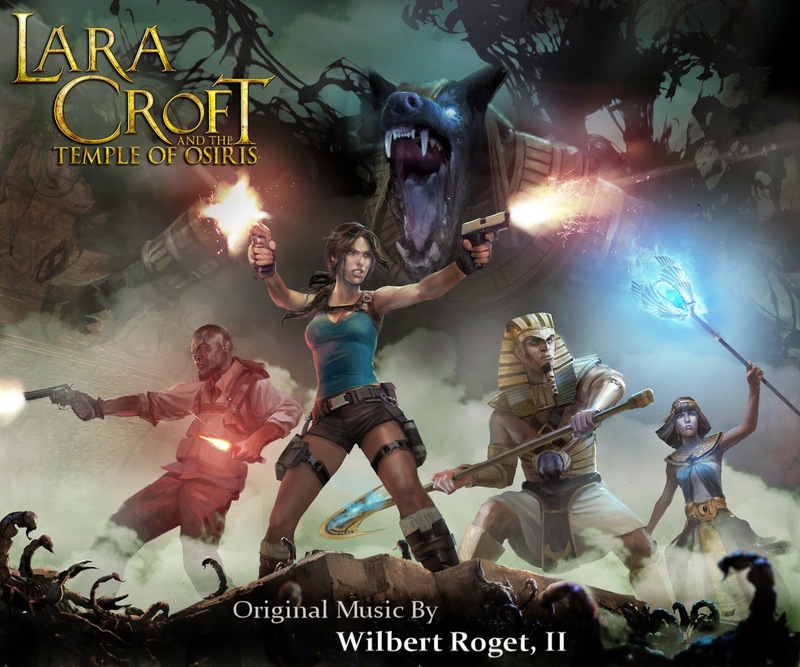 Original music composed by Wilbert Roget, II from Crystal Dynamics' digital Guardian of Light sequel. Additional music by Paul Houseman. Album officially released for free by the developer via SoundCloud over December 2014 and January 2015. Bonus remixes included from Sebastian Freij, A_Rival & zircon, later released as out-of-game bonuses for the completion of in-game community challenges. Additional music released via the composer's SoundCloud in March & April 2015. Lara Croft Overture [zircon Remix] [4:11] (zircon) - also known as "Rise of Pharaoh"
Original music by Pixel Audio (composers Ulric Corbeil Trudel, Eric Shaw and Mathieu Beaudet) from Square Enix Montreal's mobile game. 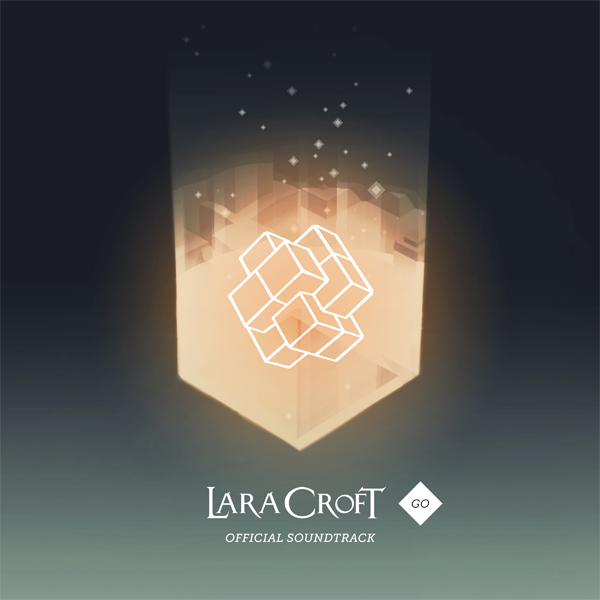 Album officially released for free by Crystal Dynamics via SoundCloud on October 16th, 2015, as part of Lara Croft GO Music Week. 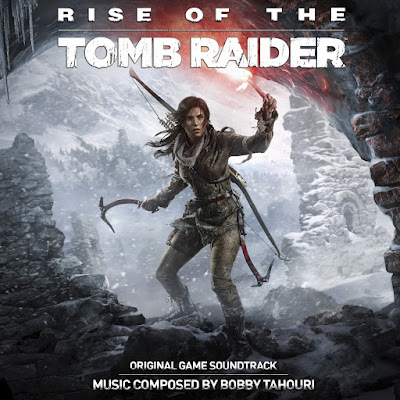 The third full free soundtrack release from Crystal Dynamics on November 6th, 2015, the Rise of the Tomb Raider Original Game Soundtrack by composer Bobby Tahouri continues to utilise "Lara's Theme" by Jason Graves as rebooted for Tomb Raider (2013). Q: How can certain editions be labelled official? A: Each and every individual track compiled in albums labelled "Official" were derived from legitimate sources. These include promotional releases or soundtracks enclosed in special retail editions. 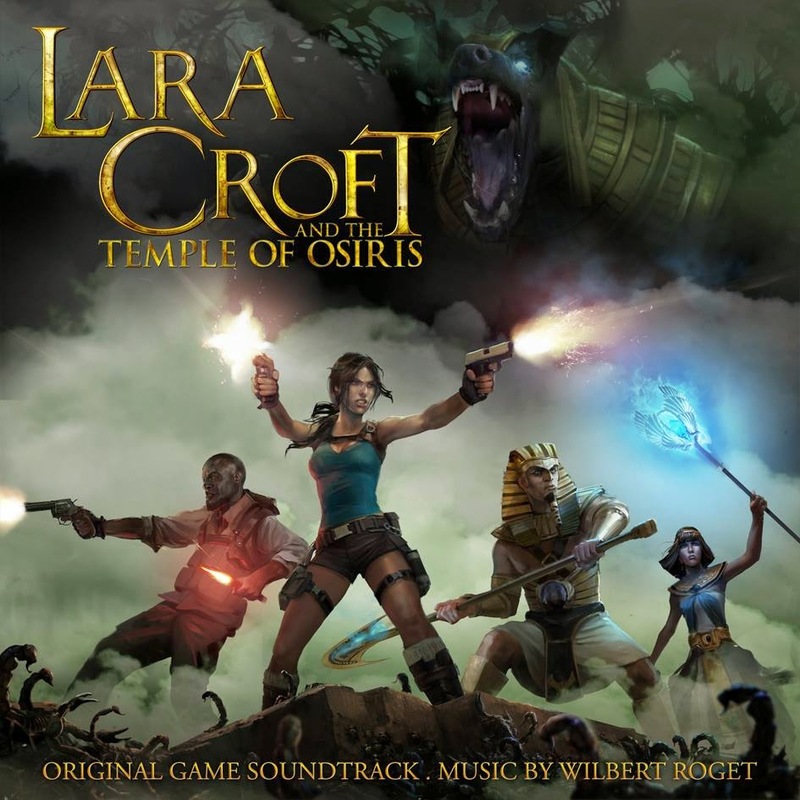 To date, only Tomb Raider (2013)'s video game soundtrack has seen a commercial release. Q: What are the 2011-remastered "Deluxe Edition" soundtracks made from? A: In short, the "deluxe" edition soundtracks are a derivation of all the original fidelity (uncompressed, 5.1 surround multiplex audio) program files. They have been constructed and compiled with great care and particular attention to authenticity and quality. Please note: "in-game" refers to all obtainable loop music. Unlike Angel of Darkness & Anniversary, the "deluxe" albums for Legend & Underworld do not include material from official releases (enclosed or promotional sources). For a complete collection, you will need both the "official" and "deluxe" versions of these soundtracks listed (they are mutually exclusive). As the main themes are available in both the program files and promotional releases, they indeed appear twice. Q: I have other versions of the same soundtracks I found on the web. How are these different? 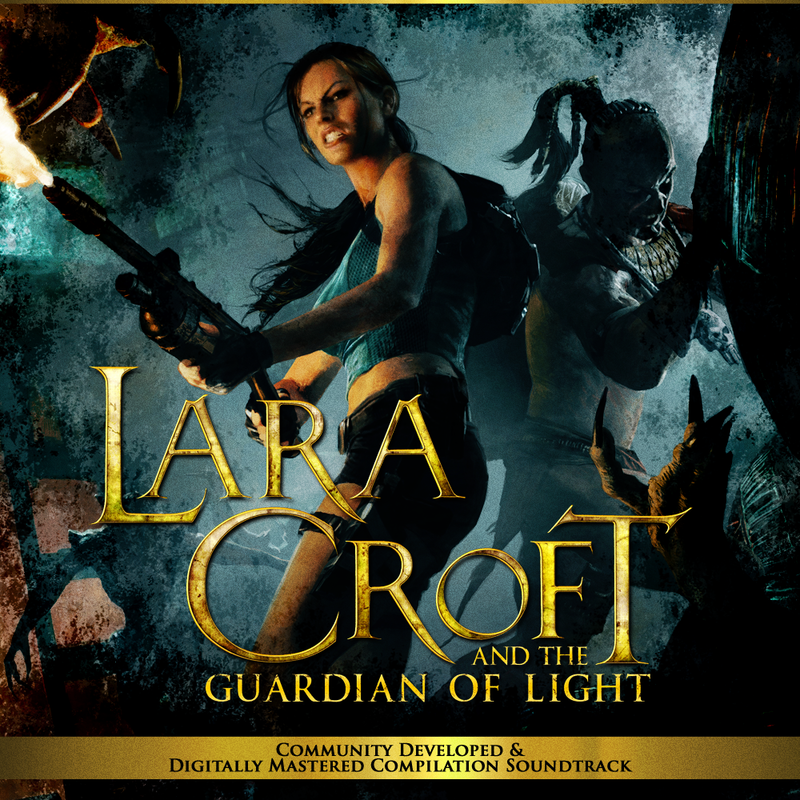 A: Many previous versions of community-developed soundtracks are recordings from the playback of the games. These releases here instead consolidate the music in complete form. In most cases previously unreleased music is included. All tracks were sourced from uncompressed sound-banks (extractions when available) and re-rendered with superior LAME-MP3 encoding, or as FLAC. An audiophile's dream. If your track-list(s) match this page, you have the latest and most complete release(s) obsoleting all those prior. Q: Where are all the cut-scene, QTE and/or FMV scores? A: Most of the cut-scene music from the Tomb Raider games is intertwined with sound effects and dialogue, making the isolation and extraction of this music in its original fidelity impossible. Regardless, the majority of the cinematic scoring to the Tomb Raider franchise remains unreleased, apart from a small portion of officially released music. All of these tracks are included where applicable, for example, all of Peter Connelly's work and the "Official" Tomb Raider Trilogy soundtrack editions. Q: In some releases, one or two tracks do not sound as great as the rest. Why is this? A: The extremely rare track affected is unobtainable in higher quality. These may include cut-scene scores that were available from the developers in various forms. 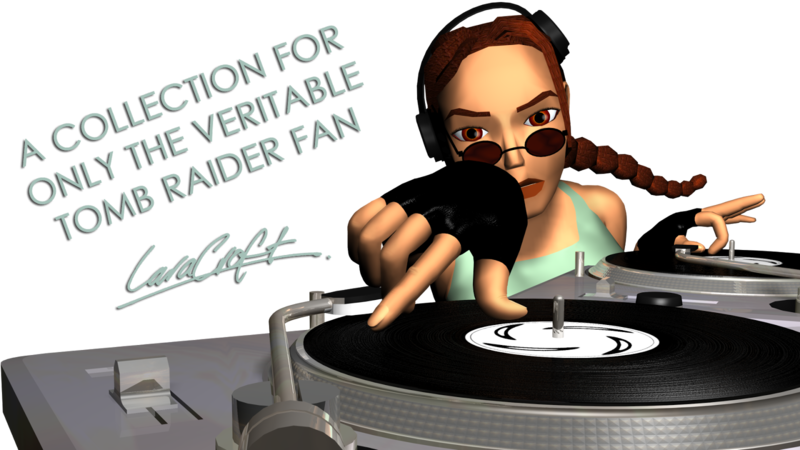 Most of the cut-scene music from the Tomb Raider games is intertwined with sound effects and dialogue, making the isolation and extraction of the music in its original fidelity impossible. All in-game music is derived from the uncompressed program files. A few of the tracks (from promotional DVD sources) are presented in an advanced resolution of 48kHz. Q: I've seen different track names in the classic releases for years, why have they changed? A: During the 1990s public relations regarding video game music production were rare events. 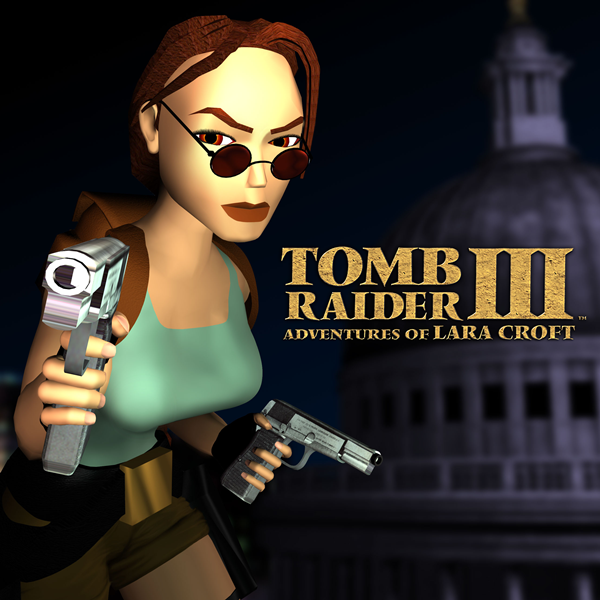 Track names for Tomb Raiders I-III were originally derived from the PlayStation program files, and over the years personal consolidations shared by community members have gradually altered recognisable titles, consequence of absent official releases. Nathan McCree amended these track-lists with MoTR in 2014. Connelly's Last Revelation, Chronicles & Angel of Darkness: Original Abbey Road Mixes were released in 2012 by the composer. 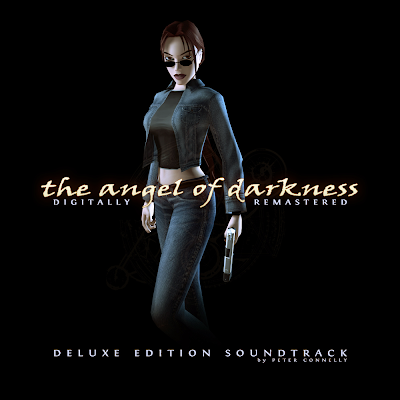 MoTR's deluxe Angel of Darkness is a 2011 re-consolidation with a track list based on levels in the game, although some community track names are retained from previous releases. MoTR's deluxe iterations of Folmann's Legend, Anniversary & Underworld (also Lara Croft and the Guardian of Light) with O'Malley are custom track lists, based on levels, chapters or events in the games. Except in the case of Anniversary where applicable track names are derived from the extras menu music player. Many titles from prior community consolidations are retained. Accreditation for Beneath The Ashes & Lara's Shadow is verified in the DLC end credits, while track content and titles are entirely custom. Q: Why is LAME MP3 encoding superior to the more commonly used PRO? peter connelly,you are the best! does anyone know where i can find the ambient music from Tomb Raider 2013 with the japanese singing? I am looking for the same. Have you found it? Harry, You've done a wonderful job here. Some day we've gotta figure out better track names for the deluxe Legend tracks. I've seen the occasional fan-made one, but they've never satisfied me. I've got my own, based where possible on cutscene names and dialogue heard during the sequences, but it has been a work-in-progress for years. searching for the tomb raider legend japan end song in the cutszene. does anyone knows? Hi, where I cand find "Lara Croft and the Guardian of Light (2010)"? Some tracks of the MP3 bundles of TR1, 2 and 3 start with a glitch, a very short, unnatural sound at the beginning. That only seems to affect some sound and dialog files of TR1 and 2, not the soundtrack, but unfortunately some music tracks of TR3 have the same problem (e.g. tracks 10, 25,...). These sounds could come from the source but sound more like encoding errors. P.S. : I had another look at TR1 and 2 and they are flawed after all. I also had the chance to compare the files with old PS discs. The glitches do definitely not come from the source. The community has done such a terriffic job compiling all that stuff, it certainly would be worth it to re-rip these tracks. This is a phenomenal site, and an incredible amount of work has gone into making these soundtracks available as well as pristine; mega-kudos! 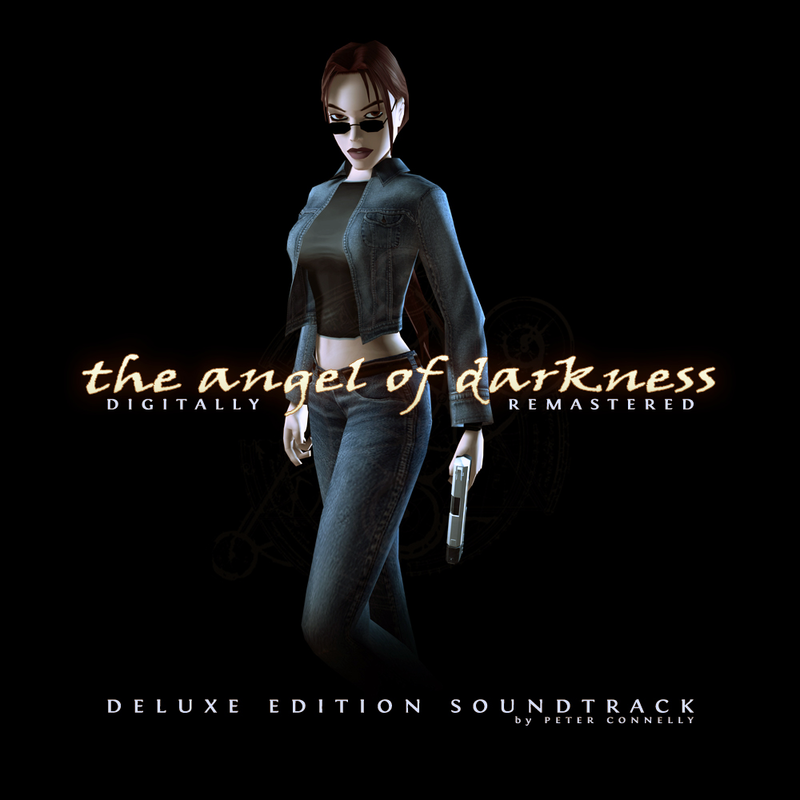 I can't seem to find the Deluxe Edition of the Angel of Darkness soundtrack on the tombraiderchronicles website. They've got an older one up there that looks like a gamerip. Any chance for a re-up? I can't thank you enough for this site, my friend. Tomb Raider soundtracks are truly wonderful. Unfortunately MoTR does not currently hold the necessary permission to provide any of these files for download. All of the raw TRAOD material was released by Peter Connelly @ https://soundcloud.com/peter-conz-connelly/sets/tomb-raider-angel-of-darkness in the Original Abbey Road Mixes, however this is obviously missing some electronic reworks utilised in the final game such as "Storm Drains/Louvre Galleries" & "The Strahov Fortress". It looks like the TRL/A/U soundtrack Google Drive is down. Any chances of it coming back online?